Compunnel Technology India Private Limited. Strong experience in root cause analysis e.g., Memory issues in Java, Security issues. A demonstrable structured approach to problem-solving – Open use app security, and how a developer resolves and mitigate risks. Design and implement test plans, test cases, and manual test scripts for applications running in multiple frameworks such as .NET. Utilize Test management tool to log and track defects. Perform and participate in all aspects of verification, including requirements gathering, feature/functional, integration, regression, ad-hoc (exploratory) and sanity (smoke) testing. Participate in peer reviews of tests with onshore/offshore QA teams. Should be well experienced with the Bug Life Cycle. Good Communication skills (both verbal and oral) and interpersonal skills. collaboratively in a distributed enterprise environment. Lead the efforts to expand the existing automation framework/strategy. Working knowledge/Experience in Pharma will be required. Experience with Hadoop and Big Data is a good-to-have. 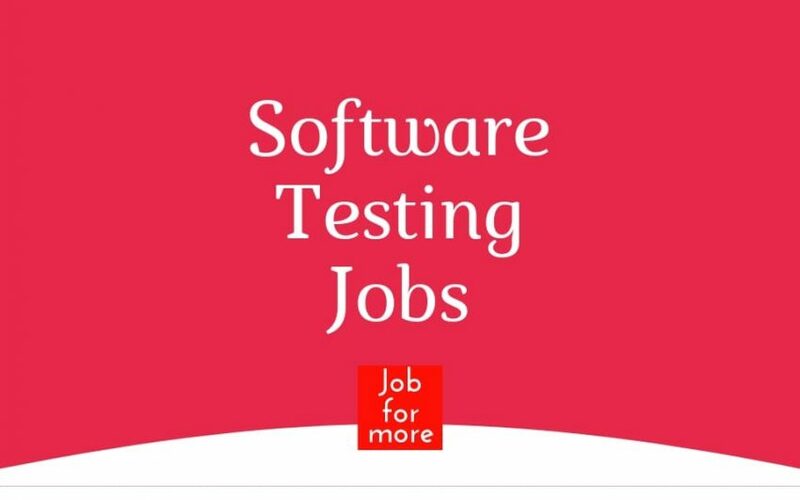 Minimum 3 years of software testing experience. At least 2-3 years of recent Test Automation experience. Minimum 2 years of experience in Automation Framework Development required (using Java). Experience with Continuous Integration, including the following build/deploy/version control tools, is highly desired. Preferably a 4 years Engineering Degree in computer science or related field. Performing End to End performance testing and analysis. B.S. in Computer Science or related field with proven technical systems troubleshooting skills. Total experience of 5-8 years and relevant to 4+ Years of Performance Engineering (prefer HP LoadRunner/Jmeter tool). Experience in heap dump, thread dump analysis. The job entails the team member to support eCW cloud hosted clients and self-hosted clients to resolve their application performance issues. for one of our leading Automobile MNC client based at Chennai Perungudi. Must have experience in PostgreSQL database architecture, logical and physical design, automation, documentation, installs, shell scripting, PL/ SQL programming, catalog navigation, query tuning, system tuning, resource contention analysis, backup and recovery, standby, replication, etc. Troubleshoot and resolve database connectivity issues (pgbouncer,pgpool) Managing tablespaces, data files, redo logs and database objects pgbench for PostgreSQL Performance test. Expertise with Postgres system metrics and optimization strategies Provide assistance on database administration, backup, and disaster recovery of PostgreSQL databases. Will be responsible for understanding the requirements and preparing the low-level design document. Hands on experience in Core Java, Spring, Spring Boot, Hibernate, Web Services, JUnit.